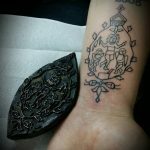 Tattoo has always served something, it has served informational functions (even when its current role is mainly reduced to an aesthetic function, it also constitutes a manifestation, even the manifestation of our aesthetic tastes :)). 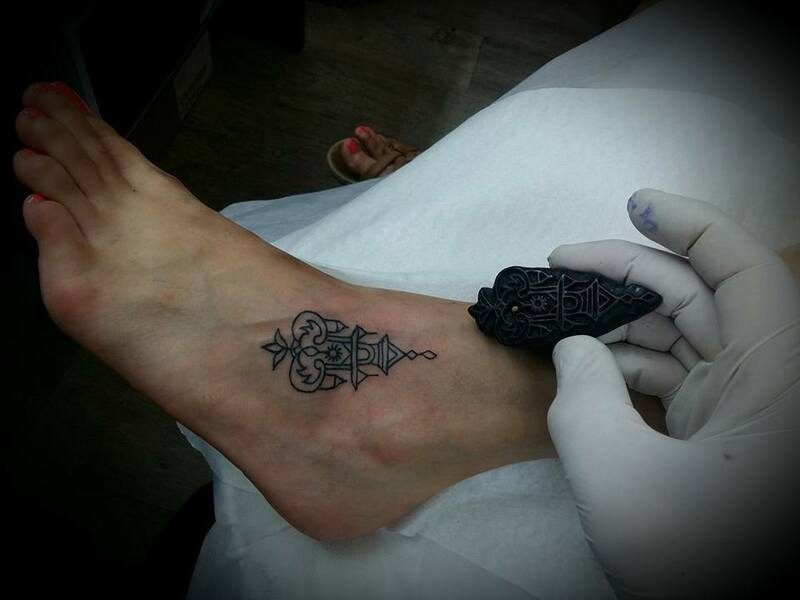 Since the dawn of time, the tattoo has been present in many cultural circles. 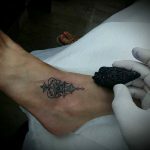 It emphasized, for example, belonging to a given tribe, in antiquity, slaves or soldiers were tattooed. 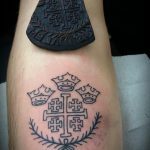 Following this path, the tattoo was one of the ways of giving “identity”, in modern times also used by prisoners or representatives of subcultures. 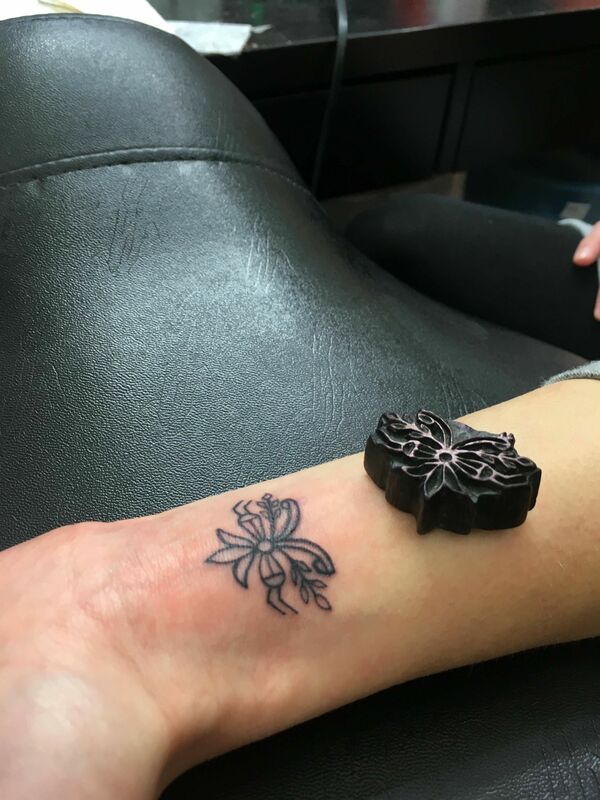 It could be a stigma, but it could also facilitate penetration into certain structures. 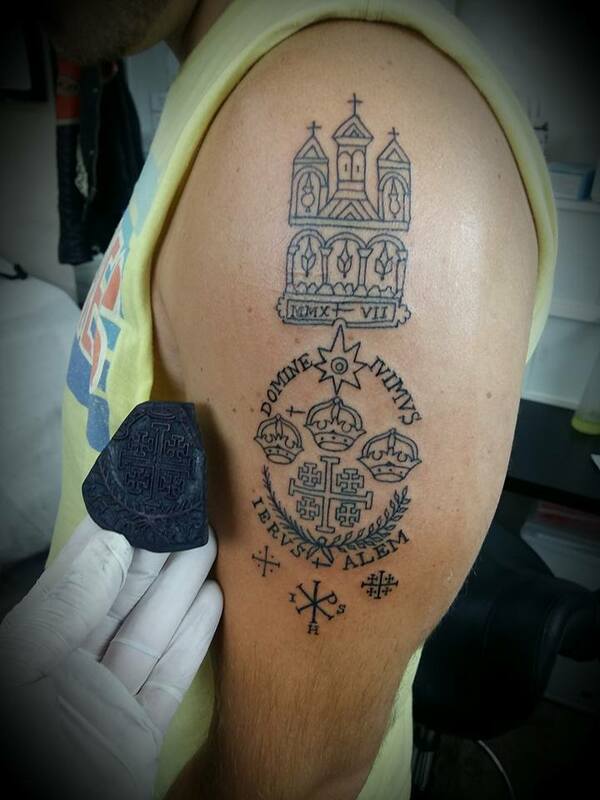 From time immemorial, it has also served to emphasize religious affiliation – including Christianity. 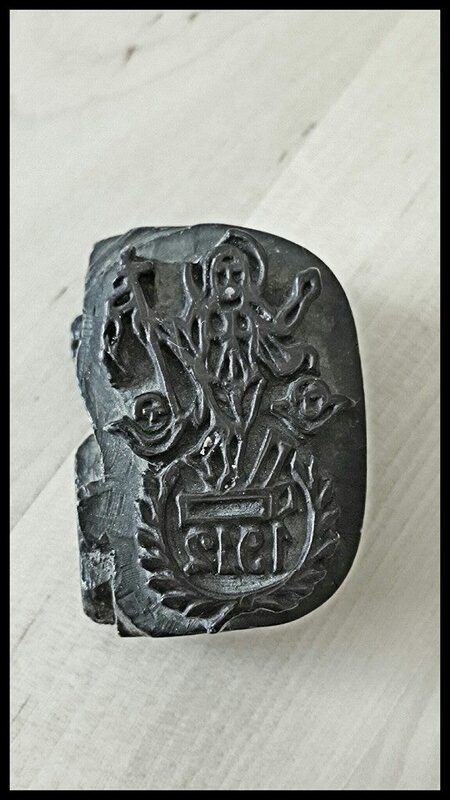 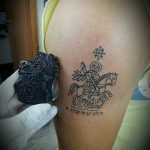 In the study of history, the origin of the tattoo, much attention (although still not enough) was devoted to the phenomenon of so-called Pilgrimage tattoos of the Christian Copts, Armenians, Maronites (Syria and Lebanon), traveling to the Holy Land, which were to act as amulets to protect against evil and bring prosperity. 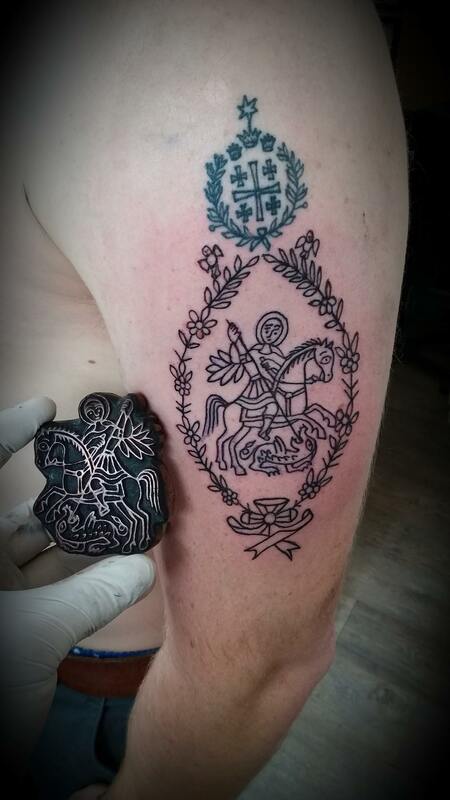 There are also reports that the crusaders have also been tattooed. 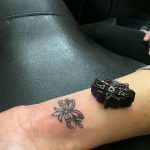 Despite such a far-reaching, fascinating and complex history of tattooing, as well as its constant popularization, research on it as a cultural, historical and sociological phenomenon is still not very common. 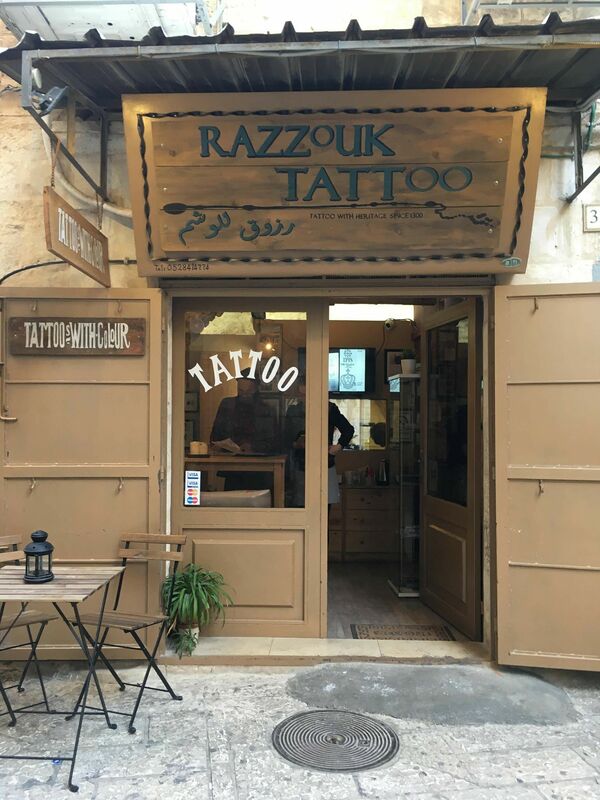 The history of the Razzouk studio goes back 700 years (yes, 700, no 70 – the second zero is not a typo), and the family, tattoo tradition, passed down from generation to generation, is still alive. It was through this family that tattooing appeared in Palestine. 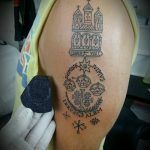 It all began centuries ago in Egypt, where the ancestors of Wassim (who now cultivates the family tradition), made tattoos – small crosses – on the wrists of the local Coptic Christians, which allowed them access to temples and practicing worship. 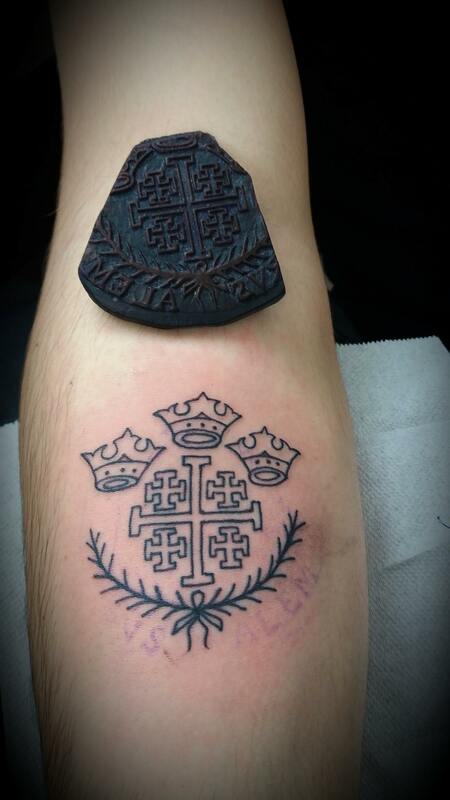 Because of religious persecution, it was not possible for everyone to cross the threshold of the church. 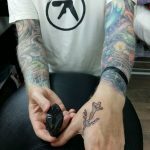 In order to make it easier, even children were tattooed. 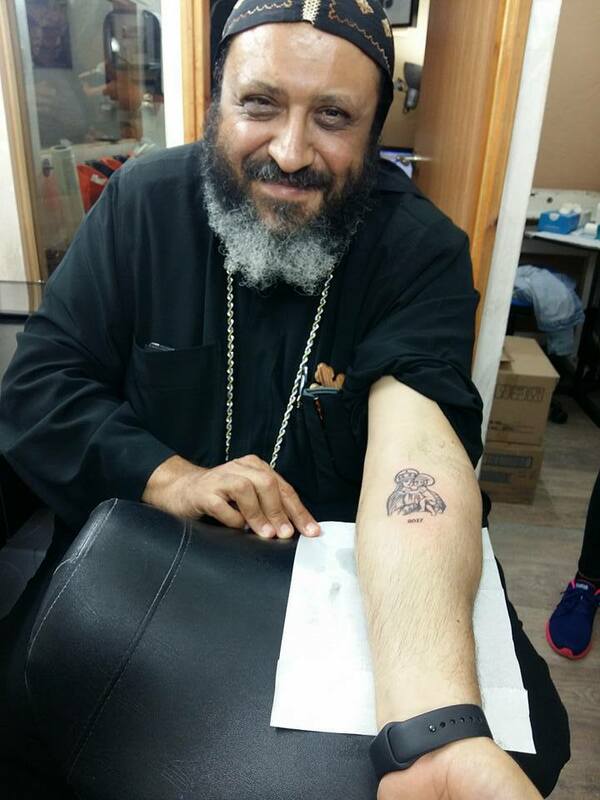 Later, Jersuis, the Coptic priest and ancestor of Wassim, moved to Palestine, where he continued this custom. The tradition associated with tattooing was passed on to future generations, and so in the eighteenth century it reached Jerusalem. 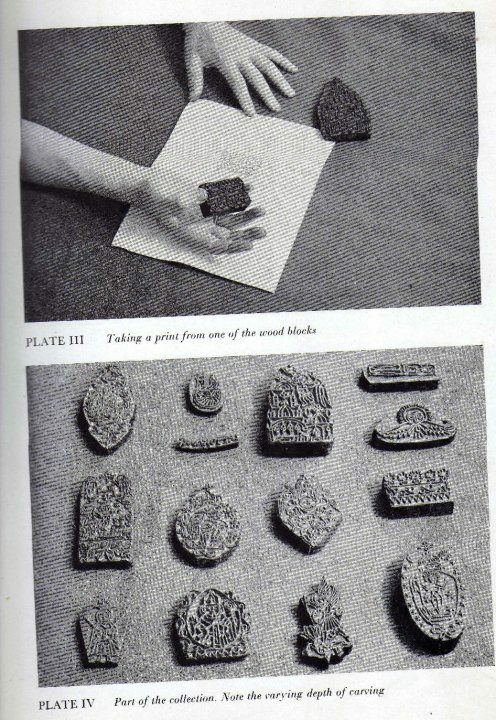 Numerous pilgrims were choosing patterns from hand-made wooden stamps from Egypt, used as stencil and tools to transfer the pattern to the skin. 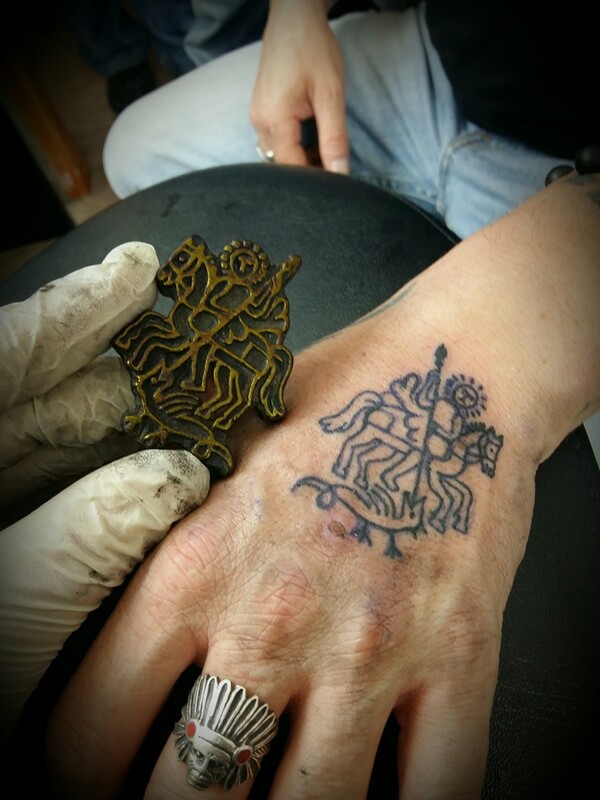 The tattooed Christian symbols, biblical scenes were supposed to be a testimony of a trip to the Holy Land. The history of the Razzouk studio goes back 700 years (yes, 700, not 70 – the second zero is not a typo), and the family, tattoo tradition, passed down from generation to generation, is still alive. 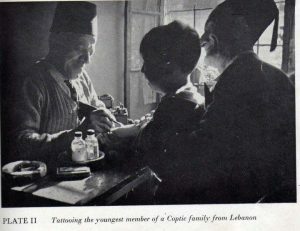 It was through this family that tattooing appeared in Palestine. It all began centuries ago in Egypt, where the ancestors of Wassim (who now cultivates the family tradition), made tattoos – small crosses – on the wrists of the local Coptic Christians, which allowed them access to temples and practicing worship. 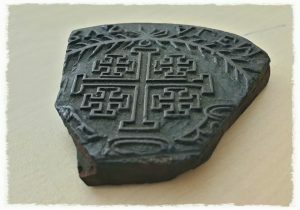 Because of religious persecution, it was not possible for everyone to cross the threshold of the church. 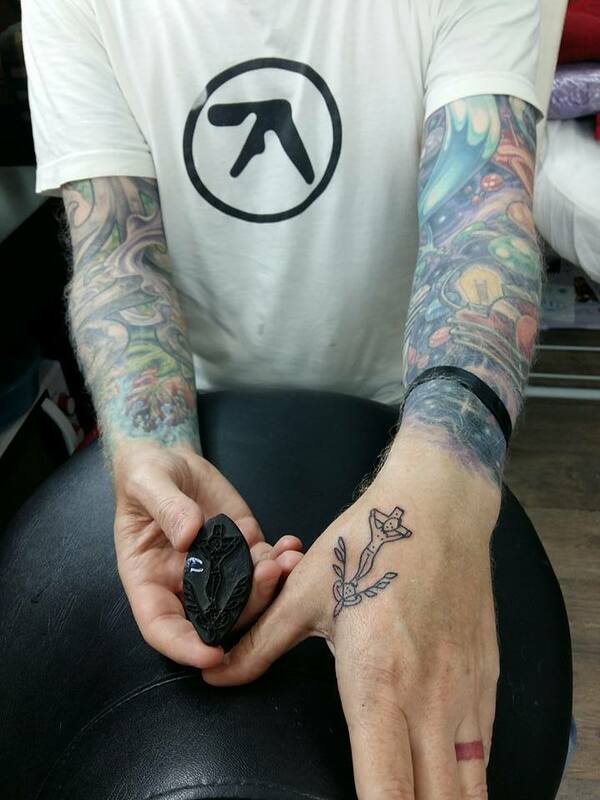 In order to make it easier, even children were tattooed. Later, Jersuis, the Coptic priest and ancestor of Wassim, moved to Palestine, where he continued this custom. 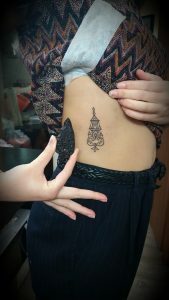 The tradition associated with tattooing was passed on to future generations, and so in the eighteenth century it reached Jerusalem. 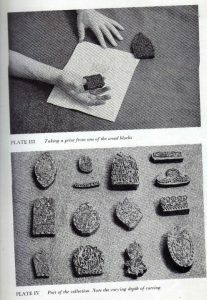 Numerous pilgrims were choosing patterns from hand-made wooden stamps from Egypt, used as stencil and tools to transfer the pattern to the skin. 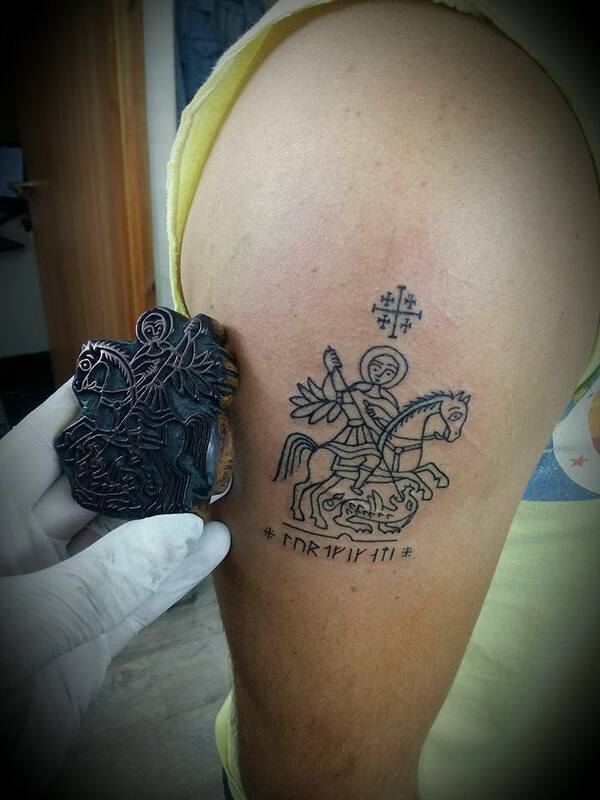 The tattooed Christian symbols, biblical scenes were supposed to be a testimony of a trip to the Holy Land. 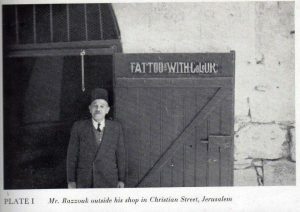 Wassim’s grandfather, Yacoub Razzouk (also known as Hagop or simply a “tattoo artist” “tattooist”), owned a plant in which he created coffins and tattoos. 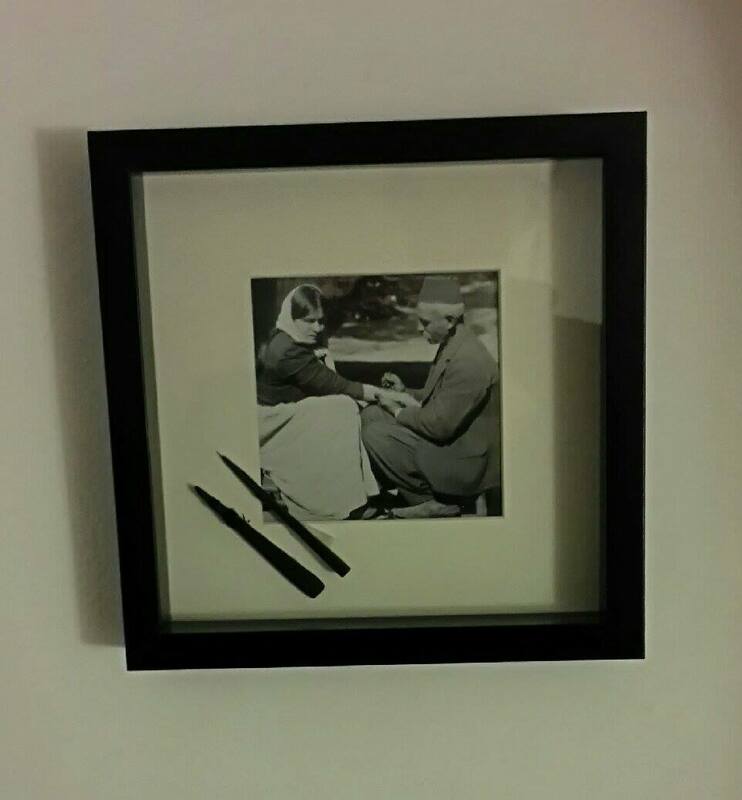 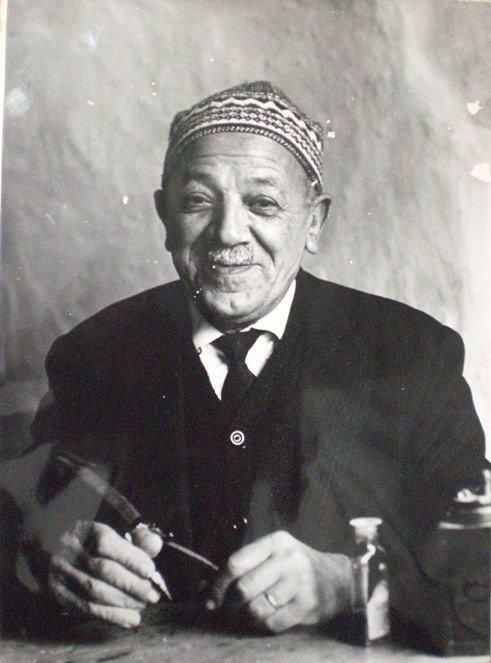 He was the first tattoo artist in the country who used an electric tattoo machine as well as colored ink. 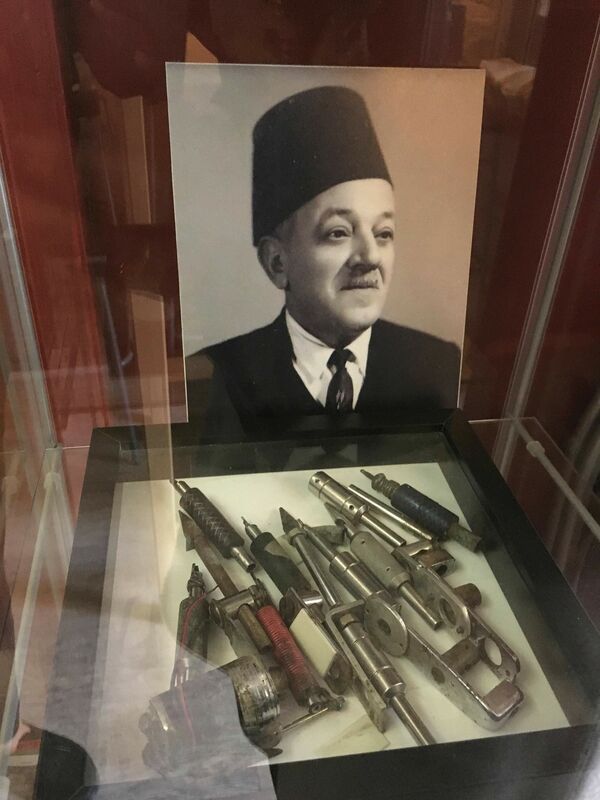 The family interest in tattooing was taken over by Anton Razzouk, to pass it on to his son, Wassim, who, as he says, will pass the tradition to his children so that they can continue and cultivate the next generations. What I know from the story I heard during my visit at the studio, in the Razzouk family, tattooing was not only a male profession, it was also performed and performed by women, including Wassim’s Aunt or his wife from Poland. 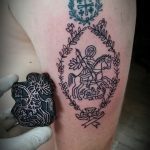 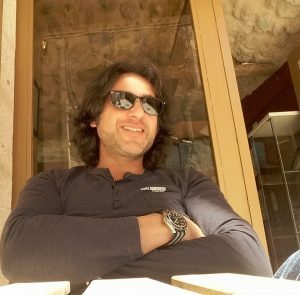 Currently, Wassim Razzouk represents the 27th generation of tattooists and makes sure that this amazing, 700-year-old heritage of his family has not passed away. 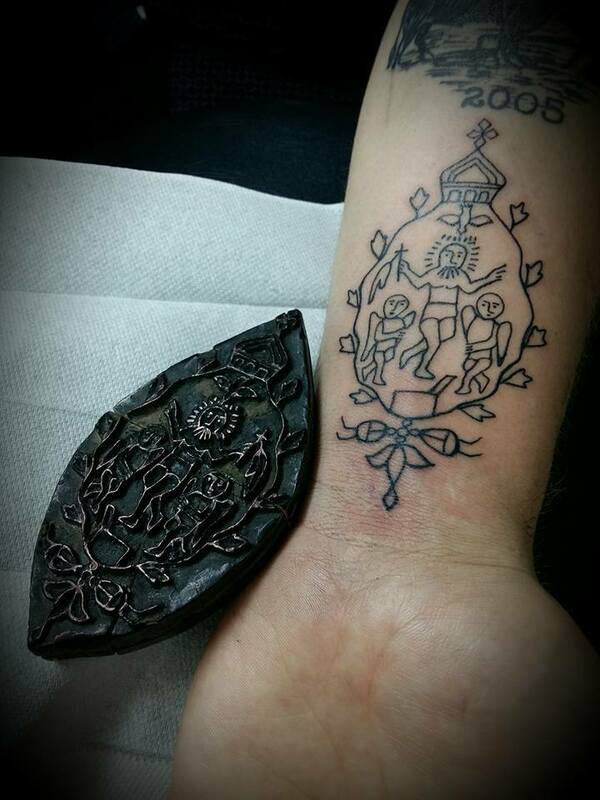 In the studio located in the heart of the old city of Jerusalem, you can invariably purchase a unique tattoo stamped with antique seals. 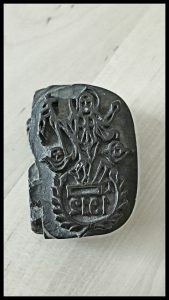 To this end, people from all over the world come to the place. and I am the happy owner of one of them.